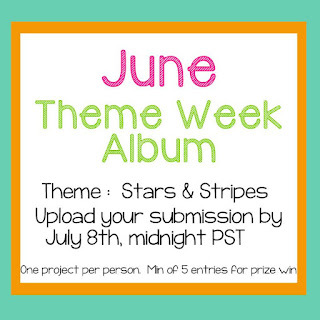 Stamp Anniething June Theme Week Day #3: Stars and Stripes! I'm back with a new card for Stamp Anniething's Stars and Stripes Challenge to share with you today! Thanks so much for stopping by today! 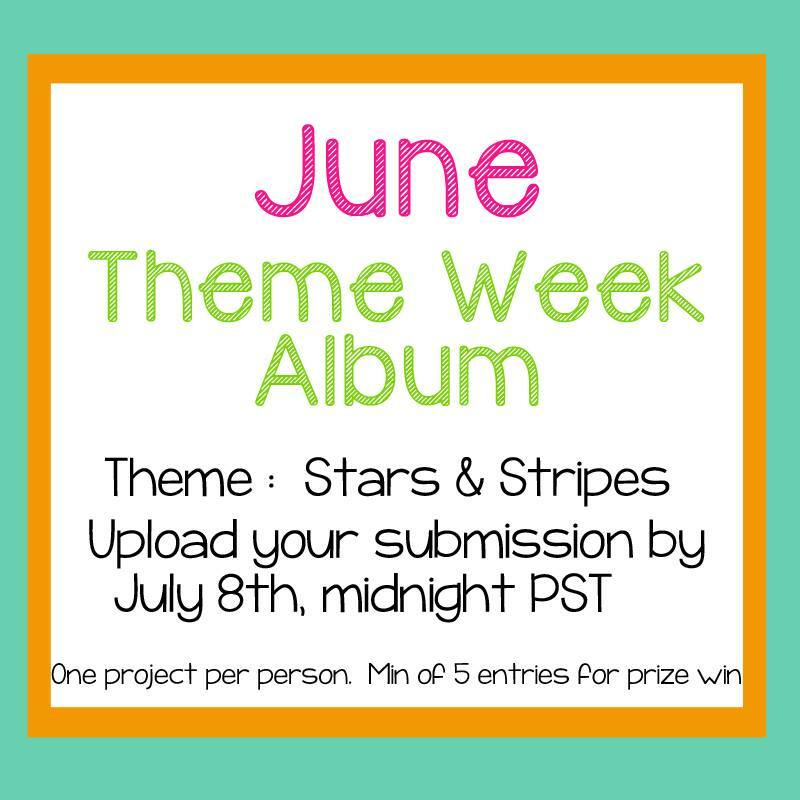 Hope you have a chance to play along with our challenge this week! Have a wonderful 4th of July weekend! Stamp Anniething: To One Classy Lady! It's my day to post over at the Stamp Anniething blog so I created a new card to share with you today! Here's a new card featuring Jemma - Party Time! I colored her up with my Copics and cut her out with my favorite Stitched Journal die from My Creative Time. I also paired it up with a sentiment from a MCT stamp set (sorry, I can't find the link!). I really love how this card turned out! Thanks so much for taking the time to visit me today! Have a wonderful week! Stamp Anniething: You Make My Heart Sing! It's Wednesday and it's my turn to post over at the Stamp Anniething blog! So super easy, but I really love this card. And I'm sure M does too! Stamp Anniething June Release Day #3: Trudy! Trudy will be available in the store NOW along with the other 2 stamps we show you this week!! Thanks so much for stopping by today! Be sure to check out the rest of the design team over at the Stamp Anniething blog for more inspiration! Stamp Anniething June Release Day #2: Sam! Now, if you visited yesterday, you'll know from my post that cats aren't my jam, but I do LOVE dogs! :) I just love this adorable image of Sam and his furry friend! I hope you like my card today. Be sure to check out the Stamp Anniething Blog for more inspiration! 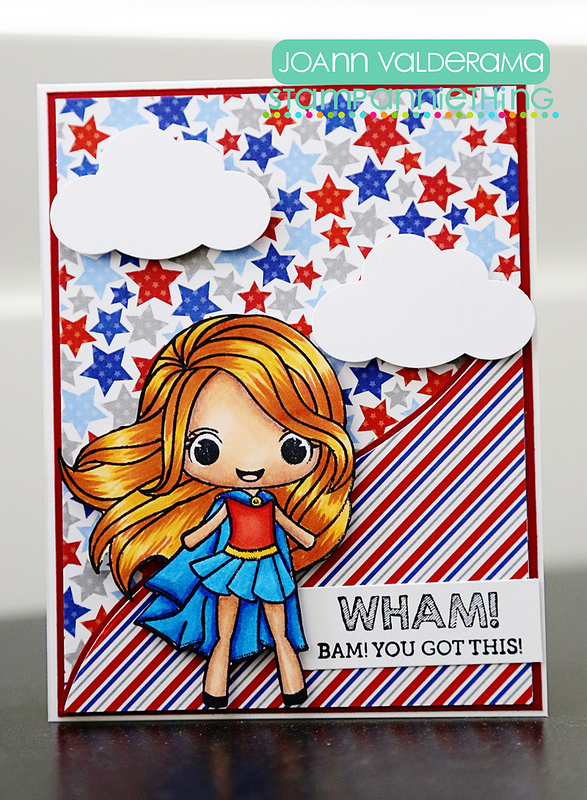 Stamp Anniething June Release Day #1: Brittney! Remember Brittney? She's back with her feline companion! Brittney will be available in the store Friday along with the other 2 stamps we show you this week!! Here's the card I created for today! I colored her up with my Copics and thought it would be fun to create a card with simple, fun colors so I used a paper pad from Echo Park. Now, I have to be honest, cats aren't really my thing (my hubby and oldest son are allergic! ), but this little Brittney and her cat are too darn cute to resist! I hope you like my card today! Be sure to check out the Stamp Anniething blog for more fun ideas using this new Brittney!